Home Made Visible – Nationwide Archival Project! Toronto – Thursday, Oct 12, 2017, The Regent Park Film Festival in partnership with Charles Street Video (CSV) and York University Libraries launches a nationwide project addressing an important gap in our national archives. Home movies capture important memories for families; they also provide insight into the history of communities and family relations. Currently, archives in Canada lack a repository of home movies from Indigenous people and Visible Minorities. Today, as old film reels and videotapes threaten to fall apart with time, Home Made Visible seeks out, preserves and celebrates this important history. The project launches with a collection phase, asking Indigenous and Visible Minority individuals to find their old tapes, and send them our way for free digitization. In return, we request them to select a short excerpt from their home movies and donate a copy of it to the York University Libraries for archiving. All rights to home movies remain with the participating individual or families. Working with Charles Street Video, the Project will commission six media artworks. Three Indigenous and three Visible Minority filmmakers will be invited to make work that reflects on how our diverse histories converge on this land, and how can we reimagine the terms in which we shape our shared future. “So much of the stories that are told about Indigenous and Visible Minorities are about adversity, and those are important stories to tell. What is also important is the strength, the flare, the play, the joy that makes up who we are, and home movies are a great way to remember that.” Ananya Ohri, Artistic Director, Home Made Visible and Executive Director of the Regent Park Film Festival. The completed works by the filmmakers and selected home movie footage for which we have permission, will be toured across library systems in Canada. For a full summary of the project see below. Ce projet est l’un des 200 projets exceptionnels soutenus par le programme Nouveau chapitre du Conseil des arts du Canada. Avec cet investissement 35 M$, le Conseil des arts appuie la création et le partage des arts au cœur de nos vies et dans l’ensemble du Canada. Home Made Visible The Canadian archives are lacking in home movie footage from families of colour. Home Made Visible works to preserve the personal history of Indigenous and Visible Minority communities and to explore how archives have the power to shape who we become and how we relate to one another. 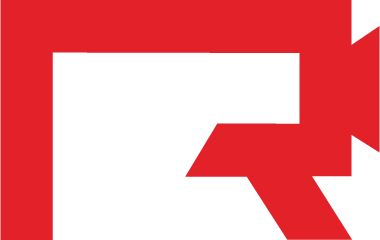 Regent Park Film Festival Toronto’s only free community film festival. In addition to the annual film festival and Under the Stars: Movies in the park we host year-round film screenings, school programs and workshops, all at no cost. Charles Street Video (CSV) is a non-profit production organization established in 1981 to help support media artists. They provide affordable access to equipment and post-production editing facilities for creating videos, films, installations and other media art forms. They regularly offer workshops, training sessions, and residencies. Their ethos is largely focused on encouraging an artisanal, ‘do-it-yourself’ professionalism. York University Libraries York University Libraries is the library system of York University. The four main libraries and one archive contain more than 2,500,000 volumes. York University Libraries is the stewardship of York’s research assets, with a focus on the active selection, storage, preservation, and sharing of its collections.